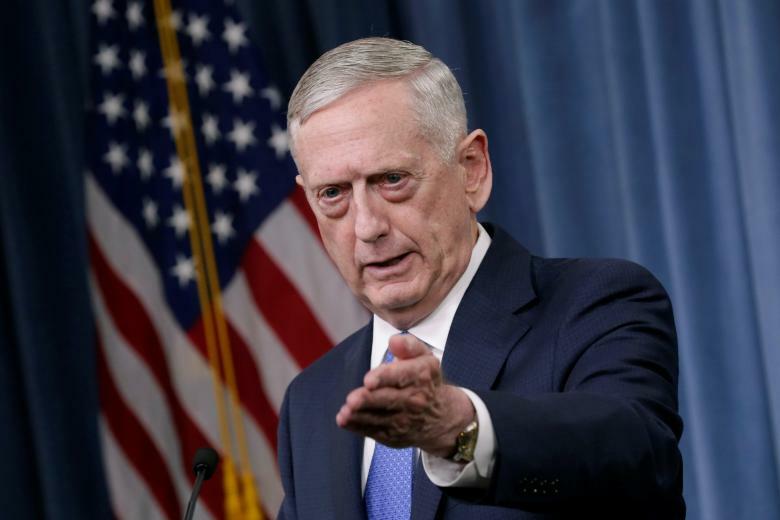 Washington – US Secretary of Defense James Mattis said that Iran was the most destabilizing country in the Middle East and that the Iranian regime was behind the causes of conflicts in the region. Mattis on Tuesday granted a phone interview to a high school journalism student in Washington, during which he extensively talked about the new US administration’s policy in dealing with current crises, as well as the role of Iran and Russia in the region. “Iran is certainly the most destabilizing influence in the Middle East,” he stated. “For example, for so long when Russia vetoed the United Nations so they couldn’t do anything about it, the only reason that [Syrian President Bashar] Assad is still in power and has killed hundreds of thousands of his own people and allowed the terrorists a place to set up camp and millions, literally millions of people, forced out of their homes with nothing but what they could cram into a car or put on their back, it’s all because of Iran,” Mattis noted. The US defense secretary underlined the need to differentiate between the Iranian people and the regime. “The Iranian people are definitely not the problem, it’s the regime that sends agents around to murder ambassadors in Pakistan or in Washington DC. It’s the regime that provides missiles to Lebanese Hezbollah or the Houthi in Yemen,” he stated.